Reminiscent of the classic cycling cap, the Sealskinz Cycling Cap fits simply under your helmet, but with essential improvements from the “classic cycling cap” - It’s waterproof and windproof! 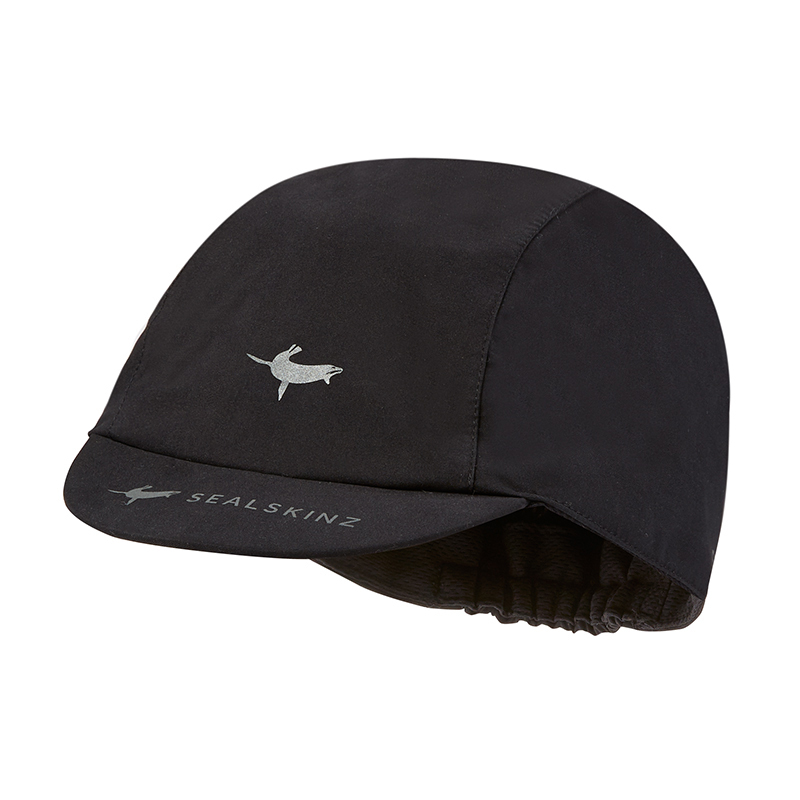 What can you expect from the Sealskinz Waterproof Cycling Skull Cap? Short, stiff peak keeps rain and sun out of rider’s eyes. A little on the tight side (s/m) as I`m in the middle of the size range 57cm head but I suspect large would be too big. Fits nicely under my cycle helmet with peak up or down depending on your style. Certainly keeps your head warm in the cold weather. Cap is able to fit over a thin balaclava if needed. Visor is nice used with my visorless helmet. It could be a bit larger for it fits a bit too snugly. It does keep the top of head dry. I ordered a S/M and it is a very snug fit. Quality looks and feels good. Main intended use is winter/colder temperature around 10C or less. My head is around 22in/56cm and the S/M is snug, maybe a Medium is better. The hat is great. I have used it in the cooler mornings commuting in Brisbane. I have a 58 cm head, and got the larger sized hat. It is a touch baggy, but I prefer that considering my hair will grow out over winter. Have used the hat in the rain and it works. It is good at keeping wind off. Keep me warm and not overheated. Also good at wicking. I got a l-xl (58-61 cm) and my head is 61 and I think it would fit even if it were 63. Warm, fits neatly under helmet, sweat soon wicks away. Brilliant. Well made and keeps the rain out .